An active soloist, chamber musician, vocal accompanist and teacher, my repertoire covers all periods from the invention to the deconstruction of the piano. A proponent of 20th and 21st century music, I have commissioned and premiered more than fifty works for solo and prepared piano, various chamber ensembles and larger conducted ensembles. My touring have brought me accross Europe and North America. Aside from playing solo repertoire, my collaborations have shaped an important part of my life. My faithful collborators include the doublebassist Ali Yazdanfar, singers Ingrid Schmithüsen, Andréanne Brisson-Paquin and Vincent Ranallo, pianist Jean Marchand, as well as the members of Ensemble Transmission : Jocelyne Roy, flute, Stéphane Fontaine, clarinet, Alain Giguère, violin, Julie Trudeau, cello , and Julien Grégoire, percussion. 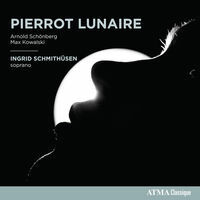 Having recorded more that a dozen commercial Cds, my most recent achievements include: Folklore imaginaire music by Ana Sokolović with Ensemble Transmission (Naxos) and Pierrot lunaire with Ingrid Schmithüsen (Atma). I teach contemporary literature to pianists at the Schulich music School of McGill University and contribute to the conducting classes at Université de Montréal as a teaching assistant. In my private studio, I teach pianists of all ages and levels, classical, romantic and modern repertoire. I am regularly called upon to adjudicate Arts Councils grant proposals as well as Canadian Music Competitions, and performance exams. I am as well a member of the Summer Academy of the Domaine Forget since 2001.